Now, click View > Thumbnails. 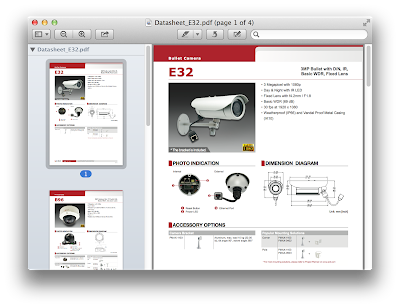 From the finder window, drag the next pdf file you want to merge with the first one. Be sure to drop the pdf file over the thumbnail of the first one. Now you can arrange the sorting by dragging and dropping each thumbnail over one another until you achieve your desired sorting. Click File > Save. Take note that Preview will use the filename of the first pdf you opened. You can change this in finder window. Thats it. If you find this tip useful then subscribe for more Mac Tips!